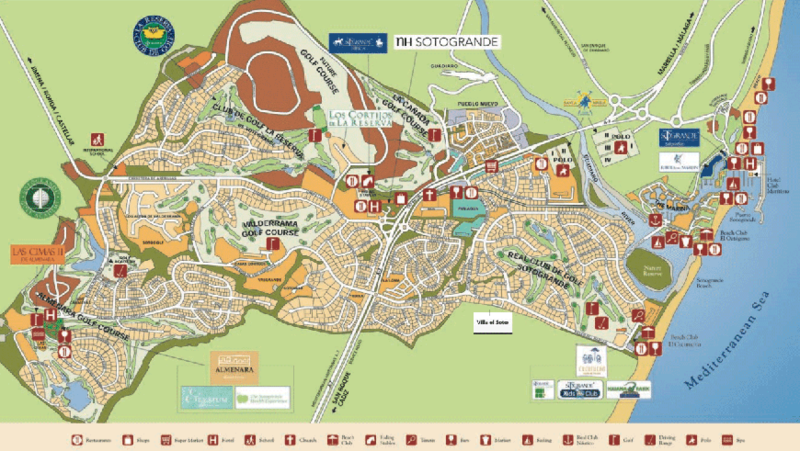 Sotogrande the most southern point of the Spanish Costa del Sol, in the province of Cádiz. Sotogrande is directly connected with the Costa del Sol motorway. Marbella is a 20 minutes drive & The International Airport of Gibraltar at 10 minutes and Malaga at respectively 50 minutes drive a way. Sotogrande G.P.S. coordinates latitude 36º17’24” N. and longitude 5º16’10” W.